Isn't it every New York City bride's dream to get married at The Plaza? The grand ballrooms, the chandeliers, the storied history - it's enough to get your imagination racing! And luckily that's exactly what happened last Thursday afternoon when a few wedding bloggers and myself gathered together to see the latest innovations in design, decor, and cuisine the wedding experts had to offer. Different levels in your centerpieces creates a more dynamic piece. Being able to talk at the reception table is key - low lying centerpieces allow for an easy flow of conversation, especially at such an intimate affair such as a wedding. 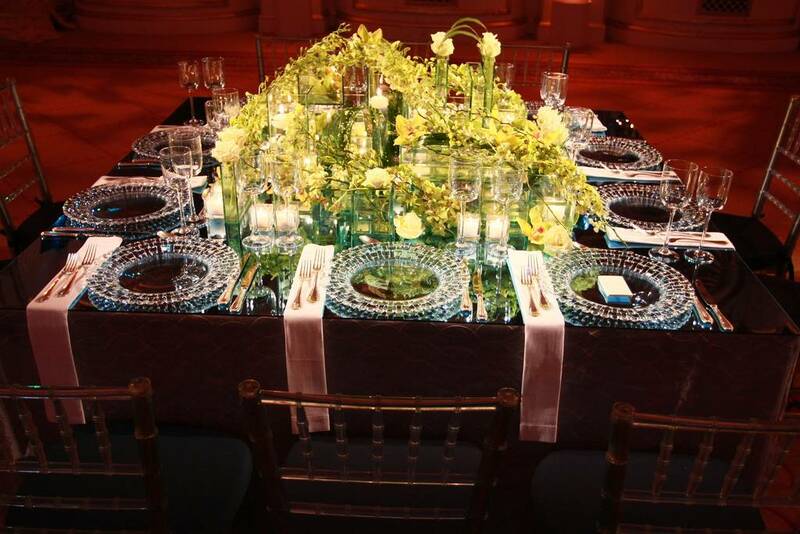 The team used plate glass to cover the table surface to reflect the light across different surfaces - because doesn't everyone look beautiful in the soft, romantic glow of candlelight? Various sizes of clear vases in similar geometric shapes are a must! Incorporate florals (like the roses and orchids seen above) for a decadent look. Or strip it down and float candles across the for an effortlessly chic and budget savvy modern effect. I'll be sharing more tips later on so don't forget to come back for some more eye candy! Images via the cinderella project and Johannas Courtens. Wow all that coloured glass! What an effect! Gorgeous tablescape, love the drama (and the tips on how to achieve the look). 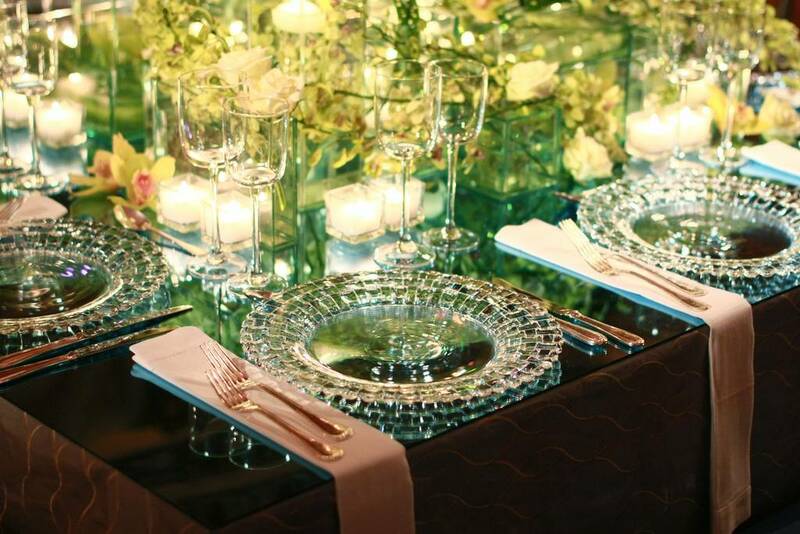 What a GORG table setting - STUNNING!